TheRustedChain - The Blog: A bowl full of happiness. A bowl full of happiness. 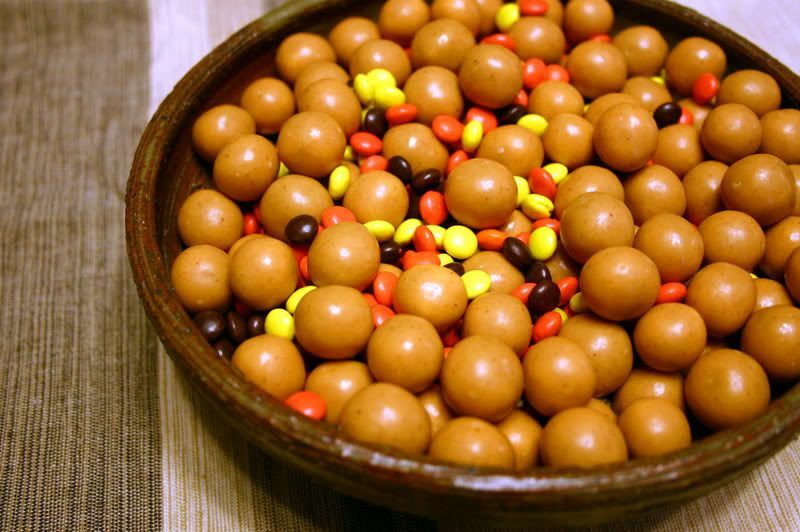 Reeses Malt balls and Mini Reeses pieces. I hope your day is filled with fall happiness! I just bought some fall candy for myself, too, but yours is much more colorful. Looks yummy. My Fingerprint is up and I thought I was late this morning. If you can believe, I was taking pictures very early and freezing in the process..all for for the beauty of a Fingerprint from God..Happy Friday.. OKAY now im craving that bowl of goodies! YUM!!!!!!!!! Oh my gosh. I wish. Oh yum. We don't get Reeces Peices here in Australia, but whenever I go to the states, I pretty much live off them! WHAT?!?!? Reese's Malt balls? Oh my goodness! I need to be on the look out for those! how fun (and delicious sounding). PS found my way here via pumpkin petunia! lovely little blog you have!